Samsung Electronics unveiled today its first commercial Samsung curved UHD TV and announced its rich collection of curved and UHD TV for the 2014th. The new production line for 2014. reinforces Samsung’s leadership position and set the accelerated pace of innovation, design and content of the TV industry. In the year 2014, Samsung shows its commitment to new technologies and the rapid acceptance thereof, by introducing wide range of own UHD TVs, which includes the largest UHD TV in the world, 110-inch diagonal, six curved TVs and the first and the world’s largest curved UHD TV 105 -inches. With a resolution four times greater than Full HD, the new UHD TV devices provide unsurpassed image quality, and all UHD source images look spectacular in the crystal clear 4k resolution. Thanks to UHD Upscaling function, which is found on all Samsung UHD TVs, viewers were given the best possible picture quality, regardless of the source of the broadcast. 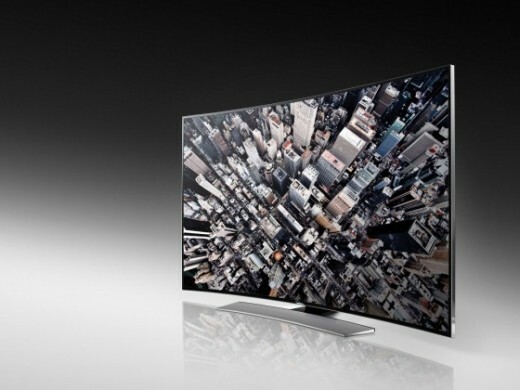 Appropriate Samsung’s technology converts Full HD, HD and lower resolution signals in almost UHD quality through a unique four-step process that includes analysis of signal, noise reduction, detail analysis and finally upscaling signal, so everything looks better on the Samsung curved UHD TV. UHD Dimming technology further helps in optimizing images by processing each block of the image and provides darker blacks and improved contrast. Samsung’s UHD TV devices not only support all current standards – including HEVC , HDMI 2.0, HDCP 3.0 and MHL 2.2 , but they are the only TVs on the market , which offers support for future broadcast standards , thanks to Samsung’s Evolution UHD Kit. Outdoor unit called One Connect Box is the brain of TV , which allows users to replace him with the latest Samsung UHD Evolution Kit to keep in step with the latest generation of UHD standards and get access to the latest technologies that Samsung offers , allowing users to protect their investment during the year . Samsung’s UHD TV devices not only support all current standards – including HEVC , HDMI 2.0, HDCP 3.0 and MHL 2.2 , but the only TVs on the market , which offer support for future broadcast standards , thanks to Samsung’s Evolution Kit UHD . Outdoor unit called One Connect Box is the brain of TV , which allows users to replace him with , the latest Samsung UHD Evolution Kit to keep in step with the latest generation UHD standards and get access to the latest technologies that Samsung offers , allowing users to protect their investment during the year . Samsung’s 105 – inch curved UHD TV is characterized by an expanded screen , curved design and is the largest ever made ​​television with cinema ratio displayed images in 21:9 format . The result of the above is a true cinema experience into the living room . Since 4K content to Full HD or HD source image everything looks better on this TV , which owns 11 million pixels for resolution without competition. 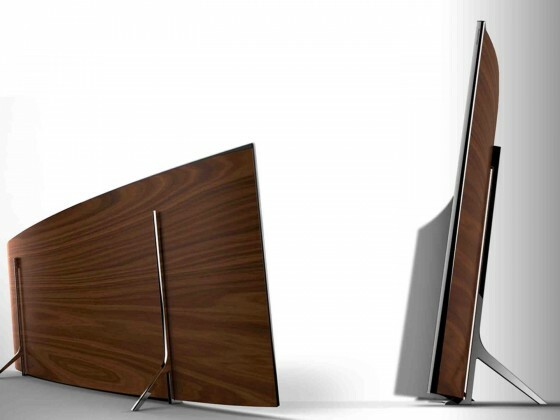 Samsung curved UHD TVs series u9000 provide a rich and unparalleled viewing experience thanks to UHD stunning picture quality , the curved shape of the screen and unique design – which looks as if the stands and carriers disappeared . All that remains is brilliant 4K image and wider display that attracts viewers like never before . Curved TV has twice improved image contrast ratio compared to conventional flat -panel televisions . U9000 series will be available in versions 78 , 65 and 55 – inches . S9 series UHD TV has grown thanks to the biggest screen in the world of staggering 110 – inch UHD quality image display . With SAMSUNG compression technology framework , the framework of the TV is powerful and stable in its structure , yet slim and stylish . S9 Series will be available in the version of the 110 – inch as well as in the previously available version of the 85 – inch . Samsung’s UHD TV series U8550 offers UHD resolution and picture full of rich detail and incredible purity. This TV not only that analyze the source and reduces noise, but also interpolate the image detail based on information about the quality of images available from the database, which is built into the TV’s memory (system-on-chip/SoC). U8550 Series will be available in versions 75, 65, 60, 55 and 50-inches.